Topa Topa x Institution collaboration part III! Our third and last spot this month is going to be at El Rey Cantina in Camarillo from 7pm-10pm! 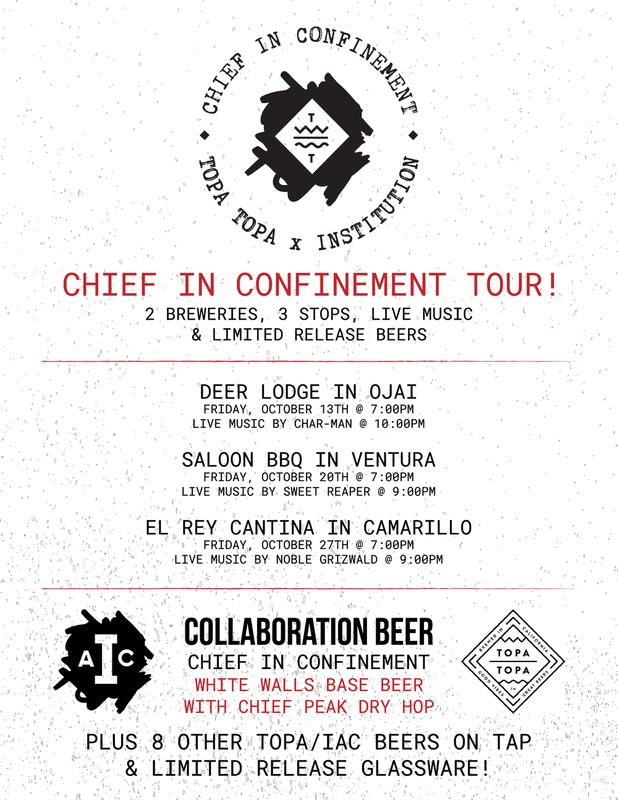 We will have 3 Topa beers, 3 IAC beers and Chief in Confinement. Last chance to get our limited release glassware for keeps if you buy a pint of our special collaboration beer. Chief in Confinement is our White Walls base beer, dry hopped with Topa Topa’s Chief Peak dry hop regiment. Live music from Noble Grizwald going on at 9pm. We hope to see you all there! Lockdown: Featuring Enegren Brewing Co.